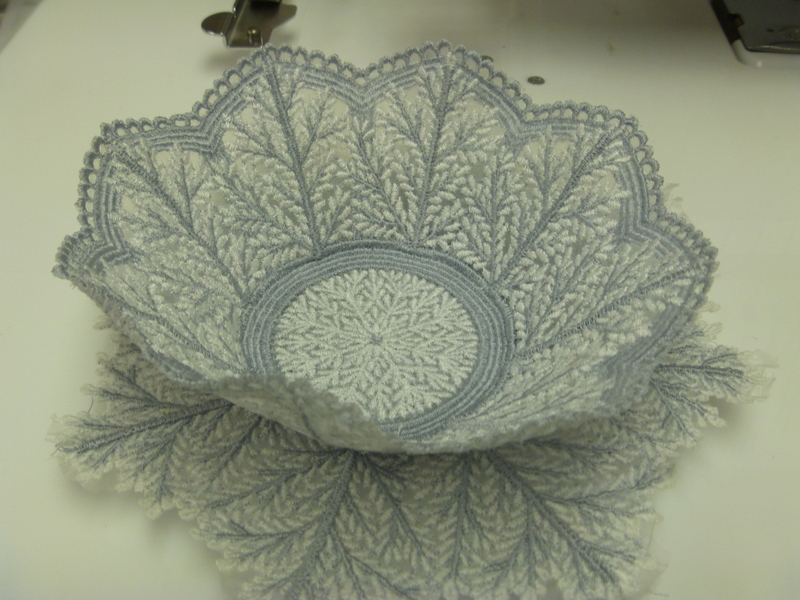 If you aren’t familiar with this company, you might be interested in knowing that his family made lace in Switzerland for decades which was sold throughout the world. Among other laces they made religious laces for altars and clergy clothing, end emblems for the Swiss Army uniforms, and . Their work is soft and lovely. They are now digitizing for the home embroidery machine.